Life for Tessa had been steady and calm—with the exception of her overly jealous boyfriend—until the moment Jace Fowler walked into her life. Jace—incredibly charming with boy band good looks—is someone whom Tessa can’t seem to stay away from… no matter how much she knows she should. After surviving a strange animal attack, Tessa learns just how mysterious and secretive Jace really is and that his secrets not only involve himself…but her as well, making Tessa question everything she’s ever believed regarding her life and those around her. Would you fight to the death to prove you are worthy to stand beside the one you loved? Eighteen-year-old Tessa Morganton’s life has flipped upside down. 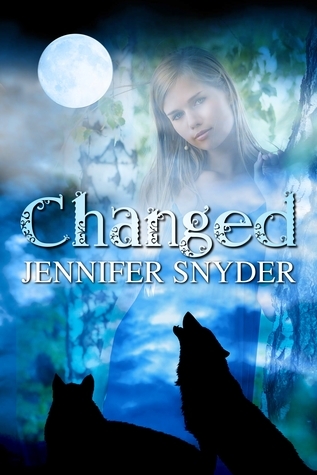 After learning Jace’s secret and discovering the man she’d thought all her life was her father isn’t, she must also cope with the reality of what she’s now become—a werewolf. 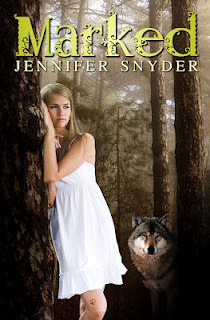 Tessa tries to maintain her normal life while her body changes more and more each night as the full moon grows closer, but when Shelby comes back to pay her a visit, Tessa soon realizes turning into a wolf may not be the only dilemma she will have to overcome. As the Wolf Moon draws near, Tessa uncovers some things about Jace and Shelby’s relationship and exactly what Pack Law entails in the untraditional situation Jace has created for them all. My dream cast for Tessa and Jace was fairly simple, all I needed to do was find a blonde female with brown eyes and a muscular, blond-ish guy. Easier said than done when Googling actors with those physical traits. Good thing I already had the perfect couple to play the duo in mind! As Marked and Changed progressed into something I finally felt was publishable, two celebrities stood out in mind among all the others as my dream cast role as Tessa Morganton and Jace Fowler. Are you ready to see my top picks? You might recognize her from I Am Number Four and Glee. Steven R. McQueen as Jace. I’m positive you already know where this hunky guy came from, but in case you don’t…he plays Jeremy on The Vampire Diaries. And there you have it! What do you think of my picks for Tessa and Jace? If you don’t agree, who would you pick? Thank you so much for having me! You have a BEAUTIFUL blog! I’d love to win these – thanks for the chance! I am the worst at picking actors to play characters for a book I enjoy LOL I generally just follow along and hop they are good at their craft and that to me makes them believable. Thank you for sharing about this interesting series, it is new to me and I am looking forward to more.